CHICAGO (January 22, 2014) — MSDSonline, the leading provider of cloud-based solutions for managing hazardous chemicals, announced today that it has been selected for a fourth consecutive year as a Brill Street Top 50 Gen Y Chicago Employer. Gen Y talent, also known as Millennials, include those born between 1980 and 2000. According to Brill Street, it is a “purpose-driven, social, mobile and tech-savvy” generation that likes to make a contribution in the workplace from the start. At Brill Street, we see talent differently. Founded in and focused on Chicago, Brill Street connects emerging professionals with companies, helping Gen Y find meaningful work. Since 2009, Brill Street has been ranking the top employers in Chicago for Gen Y emerging talent. Companies are evaluated on professional development opportunities, benefits, environment, company reputation and culture, perks offered and the enthusiasm of company leadership and Gen Y employees. 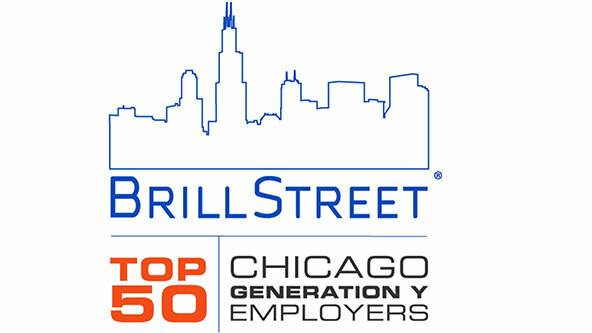 For more information about Brill Street, and Brill Street’s Top 50 Employers for Gen Y Emerging Talent in Chicago, please visit www.brillstreet.com. Follow Brill Street on Twitter @brill_street.